Sorry again for nearly another 10 days between posts. I’ve been sick, busy and making a lot of progress all at the same time. Still fine tuning the skills of the basic CNC work, but as you can tell I’m starting to get the hang of it. What would have taken hours to do, now cuts out in a matter of minutes, however the free time is eaten up by the design work that is required. I’ve come to realize that what will make you good and fast at cutting is how intimate your knowledge with CAD is. It’s getting there, but still has a ways to go. 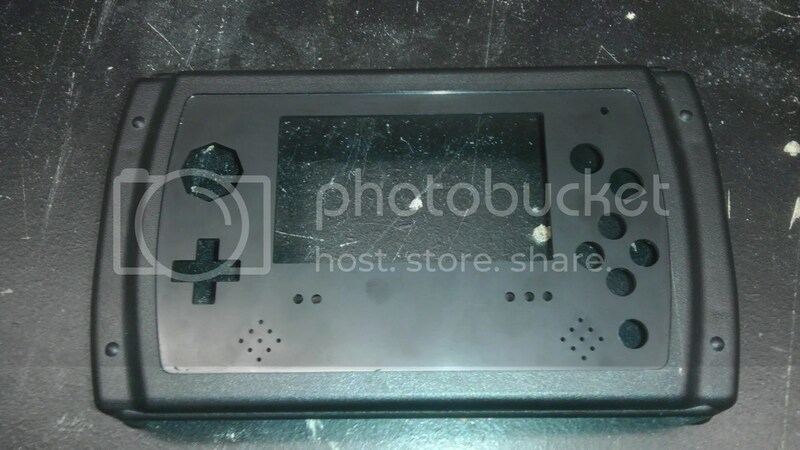 The above pic is the case I cut today for Nintendork from the MBB forums. Though I’m not sure if this is the case I’ll send because of the fact that I messed up a bit with the D-pad and had to FrankenCase in a replacement because I of it. This has caused a lot of sanding and I think I might just order in another case and save this one for a different project. Still deciding but we’ll see how the finished product looks and if it’s no good than I’ll get another case for it. I’ve also made a lot of progress with Tchay’s casings and the first one will be on it’s way to Hollywood CA, on Tuesday. All in all that’s pretty much what I’ve been doing but there is a lot more on the way so stay tuned.